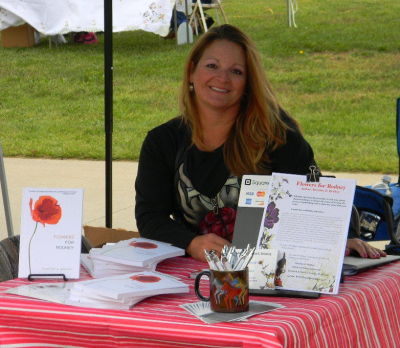 Kristine E. Brickey was born and raised in Michigan and truly loves the power of words. 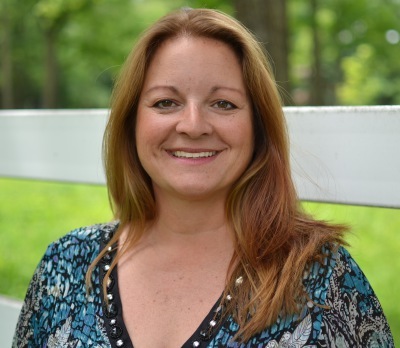 Teaching for thirty years, Brickey has an understanding of teens that allows the creation of true characters and situations that strike the hearts of her readers. In order to live life (as true writers must) this author spends time traveling with her husband, riding her horse, bonding with her two donkeys and dogs, and participates in as many 'wordy' groups and activities as possible. Seeing her novels in the hands of others and on store shelves has only increased her passion for reading and writing. Look for future books from this author. OR contact directly for personalized copies! Visit her Amazon Author page and leave a review! This young man made it clear he was not a reader, not interested in being at school the day I visited, and that he was not going to be swayed in his feelings. 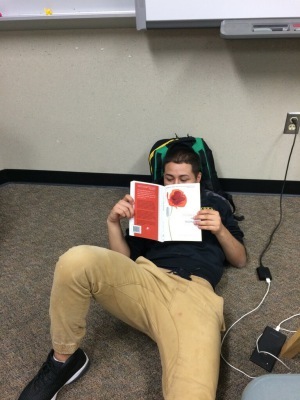 Triumphantly, I share this picture of "S", who was the first to check out the new classroom copy of ​​​Flowers for Rodney and has relayed to me, 'so far so good.' I have high expectations for this young man who gave me permission to post his picture on my website. Keep reading, S!